The Pomodoro technique is one of the most used study technique in the world. What you do is: Work hard and stay focused for 25 minutes, without any interruptions, and after that, you can reward yourself for good work. The break should not be that long: between 5-10 minutes and then you repeat this. 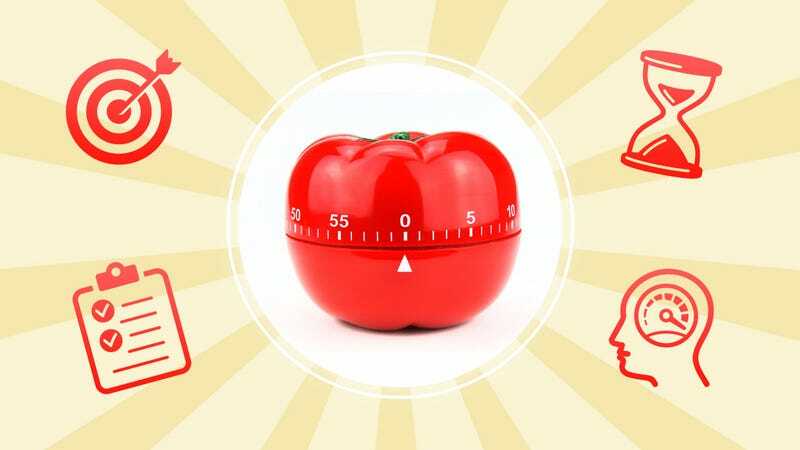 The Pomodoro can be used by anyone and it is a good help for getting better grades. One set only takes 25 minutes, and it gives to continue the good work. It`s very effective working and you get a short break to do whatever you want. I think the Pomodoro is easy to get used to after school, and sometimes at school. You can keep the motivation up, and therefore easy to stay focused for 25 minutes. I recommend it to every student out there.